Have you ever been to Venice? 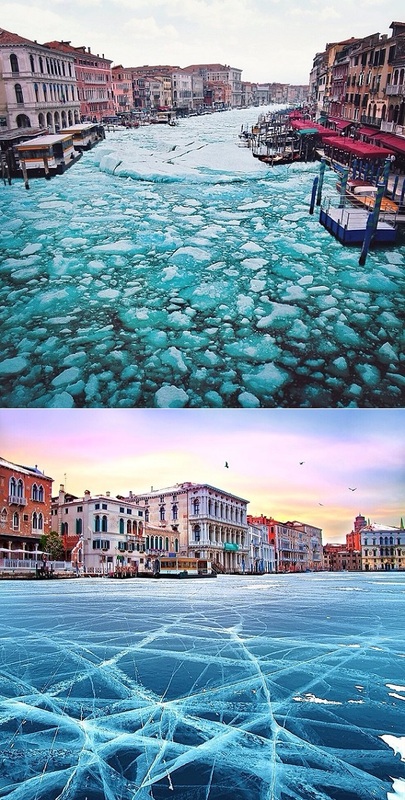 Le sigh...Whether it's in its own natural state, occasionally underwater or even frozen - Venice always makes my heart skip a beat. So, those cleverly spliced images by Robert Jahns only make me fall in love with this little island even more. I love how thought-provoking Robert’s work is and that through those photos you can see his unique vision of the world! Doesn’t it look beautiful? Can you imagine if it actually froze solid like that? Yowza! P.S: Plus, Venice of the Netherlands! It looks very real!!! I need to visit Europe very soon. There is so many cities I want to see like Venice and Rome. WOw, such cool images! I've been to Venice a couple of times but only in the summer--it's magical and I've always wanted to go back during the winter. Just remarkable. Dying to go! WOW these shots are stunning! 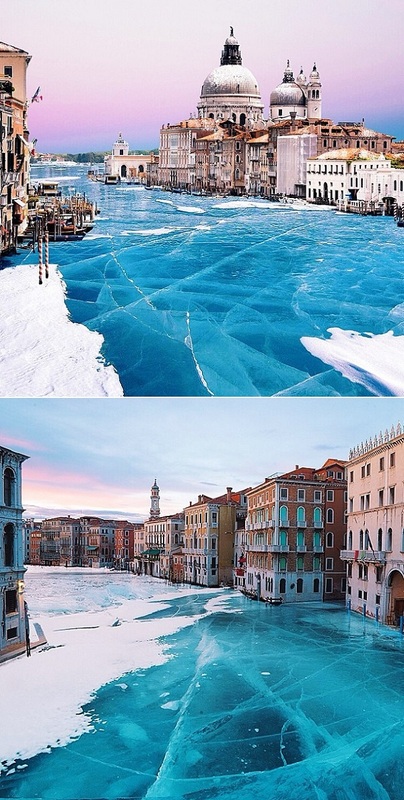 I never knew Venice froze in the winter, must be so crazy/fun to get around in it. This would be amazing. I was in Venice 10 years ago. Time for a return visit! Di, such a good point! Hi Diana! I love Venice..it's one of my favorite city in italy!! haha i can't imagine to see it like this...cool and terrifying at the same time! 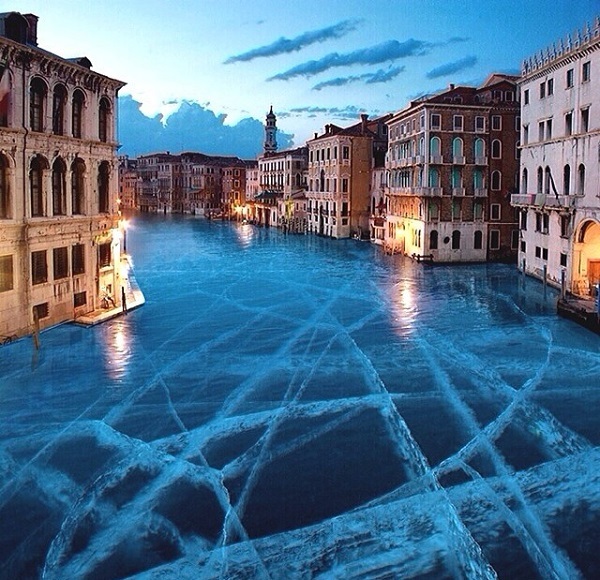 Actually, the waters surrounding Venice have frozen a few times in the past. Giudecca Canal and the part of the Bacino separating the Fondamenta Nuova from San Michele have both been frozen deeply enough to permit people to pass over them on foot.